2nd round in the Open Call Competition for two new auditoria for the healthcare department of the University College Ghent. The current department building accommodates educational and research facilities as well as student housing. Its brutalist materialisation and 1970s formal language starkly contrasts with the neighbouring small-scale social housing from the first half of the 20th century. 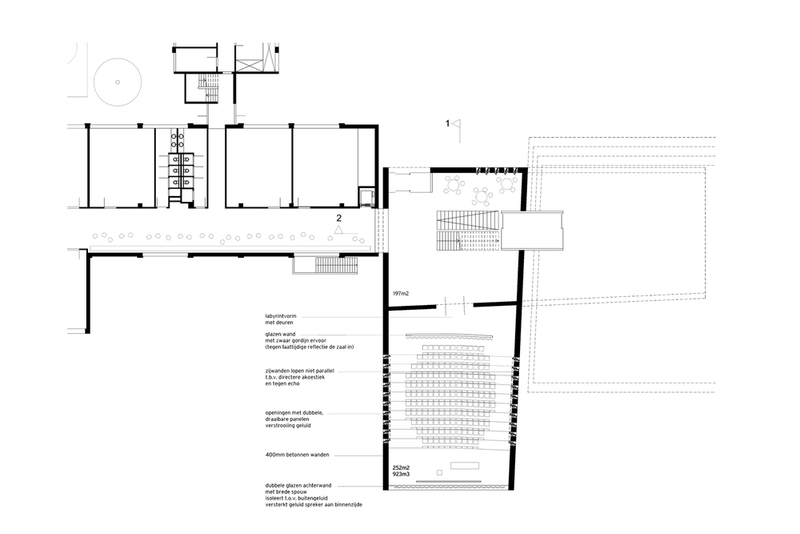 This proposal extends the department with an architectonic mark providing the campus a stronger identity, while simultaneously integrating the extension with the existing structure. The perpendicular configuration of the two lecture rooms offers sightlines in all directions and intensifies the relation between the interior and the park. 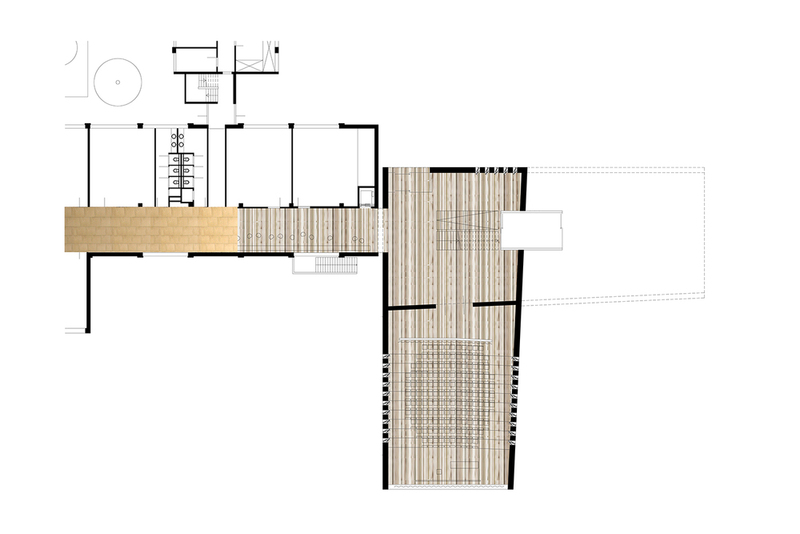 The configuration of the volumes supports a landscape design based on ‘rooms’ as the structuring unit. 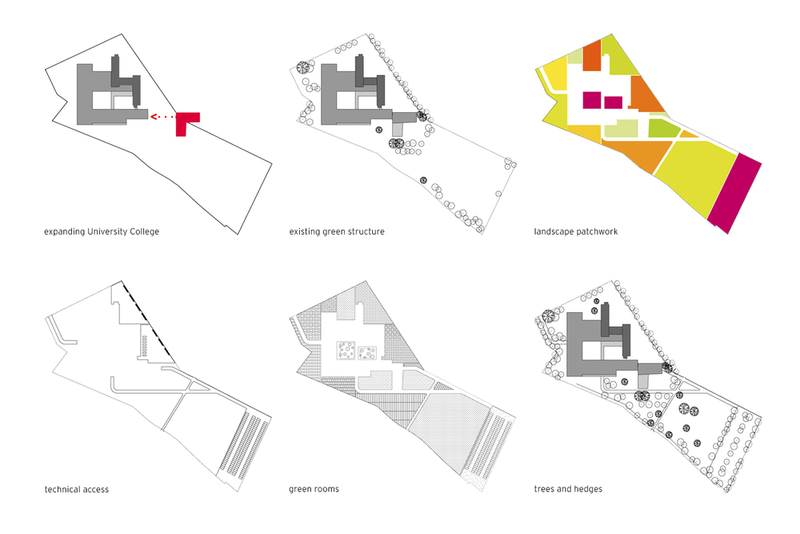 This plan aims to improve the embedding of the campus within its context by adjusting the scale of the outdoor spaces around the building to that of the public spaces in the neighbourhood.